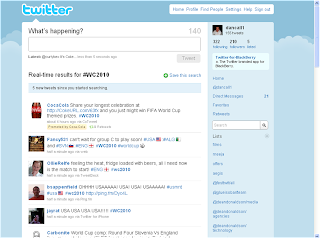 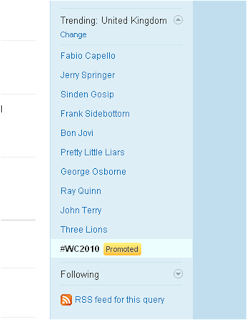 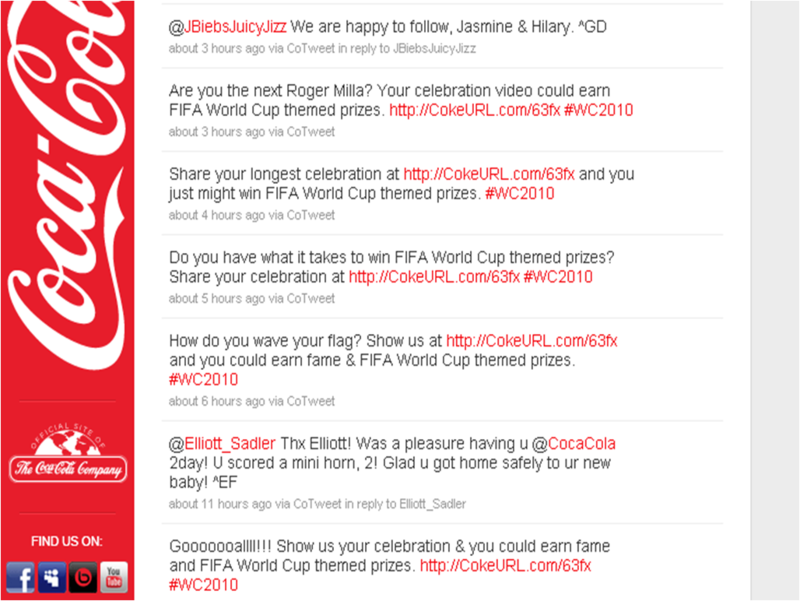 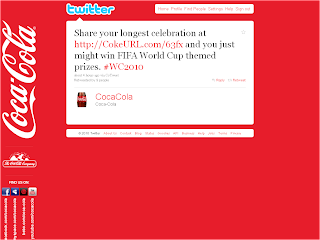 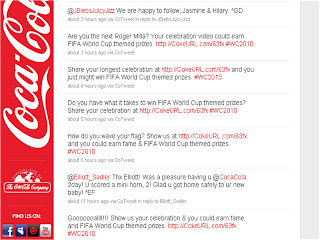 Last week we saw the first promoted trend on twitter; this week is the second, and it's Coca Cola, buying the term #WC2010. 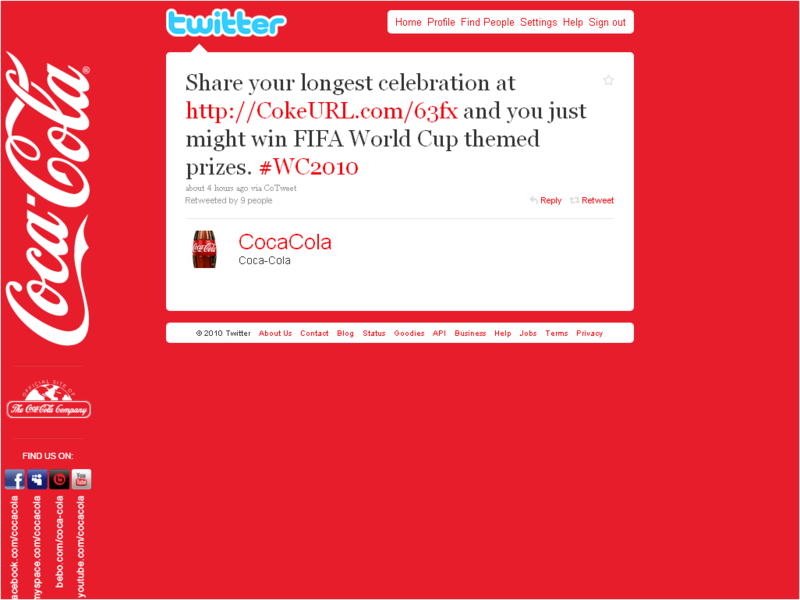 This means that anyone searching on that term (and there must be lots) will see the Coca Cola tweet at the top of the page. 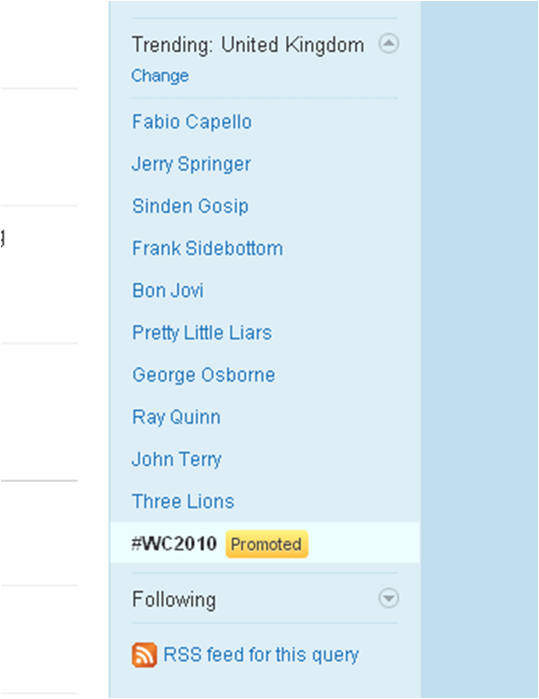 In fact they're created about 5 different promoted tweets, as this screenshot shows: They are alternating, or appearing in different combinations at the top of the search results.